Each night before bed, my husband, kids and I gather around and we each pray. Then before I go to bed, I read a short devotional. I love ending my day with Jesus. I can tell a difference when I read my devotional before bed. I sleep better when I end the day with Jesus. I know this is true for my kids as well. 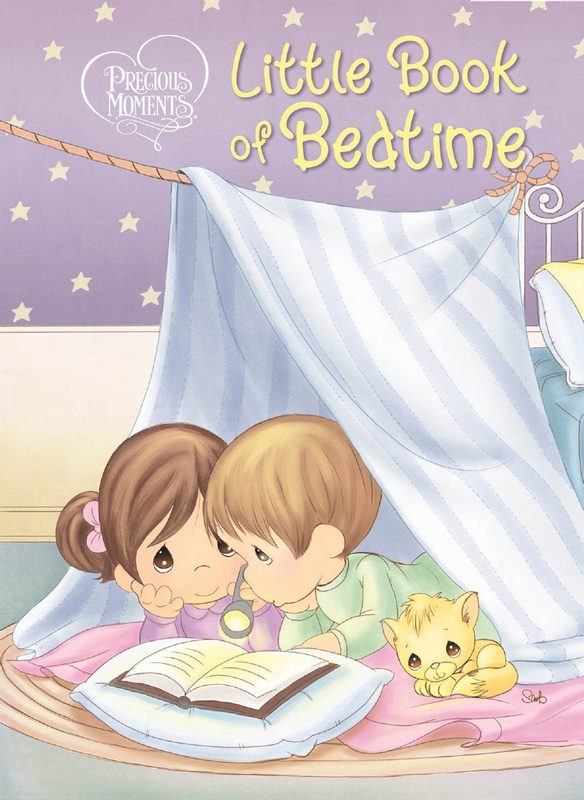 This Precious Moments: Little Book of Bedtime is the perfect night time devotional for children. This devotional has the whimsical and nostalgic Precious Moments characters that we all know and love. It contains original and traditional poems and prayers as well as Scripture. Check out Precious Moments: Little Book of Bedtime for your little ones and help them to fall asleep with Jesus on their heart. To enter to win a copy of Precious Moments: Little Book of Bedtime, complete each task in the rafflecopter below. Oh each of my kids have that book and we just LOVE it! Brings a tear to my eye every time I read it. Thanks for stopping in today! I, too, LOVE Precious Moments. It's so great that your Dad had that time with you and that you are now having that time with your kids! Thanks for stopping in! Barbara, Thanks for stopping by! Even a bedtime prayer is a special thing. Amen! Love that saying. Thanks for stopping in Dee. Thank you Jennifer, I know I am going to enjoy this with my grands and Happy Valentine's day!